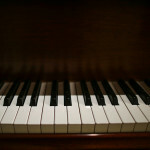 I’ve said it before – I was a terrible piano student when I was kid. I wasn’t the best musician in my class, and I didn’t start studying music early in life, either. I learned how to turn practicing into a habit. It’s easy to attribute success to having “natural talent,” but that’s not really the case nine times out of ten. Not that I don’t believe that such a thing exists – I do, I just think it’s a bit overrated. If you want to get good enough at something to stand out from your peers, there are no shortcuts. Whether it’s music, sports, public speaking, you name it…one way or another, you’re going to need to spend a lot of time practicing, so you might as well make peace with the idea. I find that the secret is to make practicing part of your day in such an unconscious way that you hardly have to think about it; it’s simply a habit. Habits get a bad rap; we tend to think of things like biting our nails or smoking when we talk about them. But really, a habit is defined (according my lazy Google search-based research) as “a settled or regular tendency or practice, especially one that is hard to give up.” Brushing your teeth is a habit (for most of us). So is showing up to work on time. Those are good habits. Turning practice time into a habit, then, makes it an automatic part of your day and therefore more likely to get done consistently. Psychologically, I think the best way to think about practicing is just as a “thing you do” that defies logical explanation. There shouldn’t be a goal or an endgame in mind; if you’re a trumpet player, you practice because you’re a trumpet player. Accept that unquestionably, and be prepared to defend that idea. Having the correct image of yourself is really key here; you have to think of yourself as the thing you want to be even before other people think of you that way. You might have only taken one trumpet lesson and sound horrible, but you still must think of yourself as a “trumpet player” in order for the habit to stick. “Fake it till you make it” is actually a valid strategy for most things in life. You are whatever you do repeatedly. One day, you’ll wake up and realize you actually became the thing you were “pretending” to be all this time (and you might even get paid to do it). For me, the bulk of my musical skill was developed from ages 12-15. I lived and breathed jazz during those years, to the exclusion of everything else. I didn’t have many friends, other than a couple other trouble makers that helped me pull pranks on my teachers to create a disruption in class (which was my other hobby…I grew up in a small town and had too much free time). When school got out, I would go home and go right to the piano with a tape recorder, listening to old recordings and trying to mimic the sounds of the greats. If someone asked me WHY I did it, I wouldn’t be able to answer. It wasn’t my job, and I didn’t have a goal for it. It was just a thing I did. Here’s the thing: if I had set goals for myself back then, I would have quickly gotten discouraged and quit. Focusing on a goal instead of just incremental improvement usually leads to failure, because goals are overwhelming at first. By not having a goal, it took the pressure off and removed the possibility of failure. I still practiced carefully and saw myself improving as a result, but it was a low-stress environment and kind of fun. It was just a thing I did. If you can trick yourself into making practice something that you look forward to as a regular part of your day. There’s no limit to how far you can go. We’re designed to look for patterns and learn things; there’s no way not to improve at something you practice carefully. Even better- once you get over the initial hurdle of everything seeming really difficult, the improvements come faster, which in turn makes it even more enjoyable. 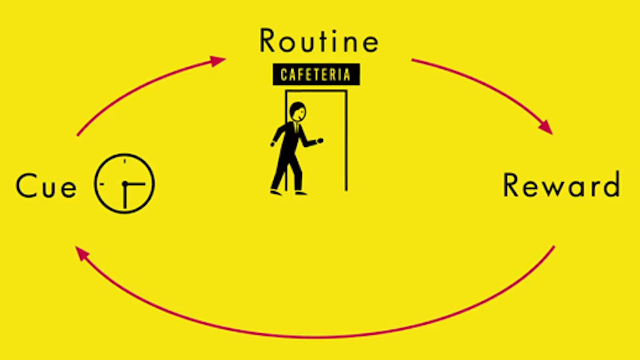 Looking at it now, most of the things that I do in my professional life today started out as habits. I learned how to arrange pop music in older styles as a way to get a reaction from an audience. I maxed out a credit card buying a bunch of mics and a computer in my early twenties so that I could learn to record my own music. After my first video went viral, I delved into social media and marketing to better understand how I could distribute my music. 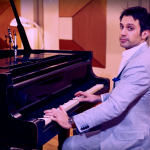 After forming Postmodern Jukebox, I learned how to identify and showcase amazing talent, put together a cast, and build a show. When PMJ began touring worldwide, I learned how to think globally and turned my attention to building a movement that lasts. Along the way, I became an arranger, a composer, an engineer, a producer, a talent scout, an entrepreneur, and a creative director. I was never “qualified” to do any of those things. But I did them, and pretty soon they, too, became things I did out of habit. They’re just things I do. There are 24 hours in each day. Most of those hours aren’t really ours; they get used up by sleep, meals, work, family, etc. But some of them are wide open. Take a few hours a day and see if you can learn how to turn practicing into a habit. Postmodern Jukebox tix are onsale for North America, Australia, and New Zealand! Click here to see the list of cities. 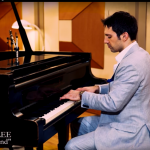 Want more “How To” advice from Scott Bradlee? Check out these articles below! 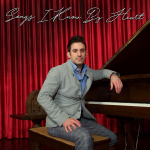 Scott’s Brand New Album “Songs I Know By Heart” Is Available Now!